Dhankot Traders is recognized industry that deals in providing exclusive range of Wing Nut in different sizes and dimensions or as per the demands of clients. We offer precision engineered Wing Nuts that are extensively used for coupling with equivalent bolts. Manufactured using cutting-edge technology, we make use of premium raw materials like stainless steel, mild steel, and cast iron. Furthermore, these are available in natural and galvanized finishing that enhances the look of Wing Nuts. No doubt, these are mostly confirming to DIN 315 standard that makes our products highly demandable in the markets of India, Sri Lanka, Nepal, Bangladesh, etc. Our high quality Wing Nut is available in various sizes that range from M3 to M20 in Metric and 3/16” to ¾” in BSW Threads. 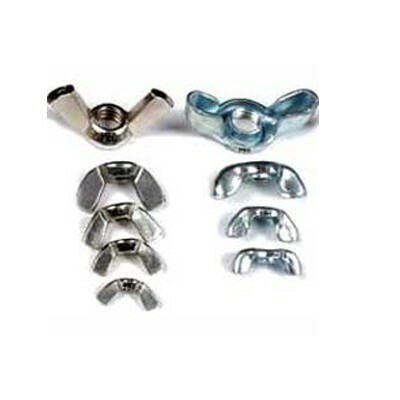 So, we are known as one of the top-notch Dealers and Authorized Distributors of imported Wing Nuts from India. Our unrivalled quality and fine finishing range products have made us one of the recognized Manufacturers, Exporters and Wholesale Wing Nut Suppliers from India.